Register for the Lead the Way 5K Run/Walk today! Growing into leaders one habit at a time! 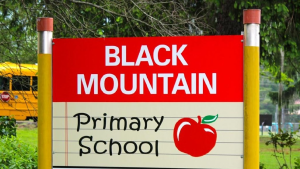 The 4th Annual Lead the Way 5K Run/Walk returning to Black Mountain Primary! The Leader in Me is Franklin Covey’s whole school transformation process. It teaches 21st Century leadership and life skills to students and creates a culture of student empowerment based on the idea that every child can be a LEADER. Lead the Way 5K is a FUNdraising 5K Run/Walk to help us raise the money that Black Mountain Primary needs to fully implement Leader In Me leadership program with our students. Come support your local school and have fun while doing it! Packet Pick-Up will be on race day [May 19th] from 1:30 - 2:45pm.